Only the Sound Itself? : Early Radio, Education, and Archives of “No-Sound” | Sounding Out! Early cinema scholars are faced with statistics that suggest that possibly eighty percent of moving pictures produced in the first thirty years of their existence are lost—that is, they were thrown away because they were no longer profitable, or destroyed through fire or overuse. Likewise, radio historians researching early radio programming formats are confronted with a daunting inability to listen to many of the programs we write about. 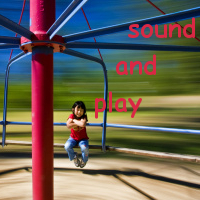 What does it mean to write about sound without being able to listen to the sounds firsthand? Where can radio scholars like myself track down sound in other places besides recorded media? 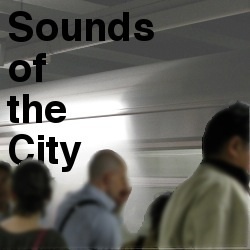 Must we have to access “the sound itself” in order to be able to write about and understand it? While missing or incomplete sound archives in some ways narrow the depth and breadth of the historical inquiries possible, I find that these gaps of “no-sound” open up other possibilities for examining the material that does remain, in the form of station records, document archives, and programming notes. For example, my research examines the discourse around the multifaceted campaigns for the classroom and living room educational use of (old) new media, specifically film in the 1910s, radio in the 1920s, and television in the 1950s. Often I find that the discourse around proposed and actual programs details their content quite specifically, including how these shows planned to address their audiences. But sometimes what I am looking for is a paper trail of sorts that will help me visually recreate the missing audio of these lost programs. In this regard, as I delved into the events around early radio and education, I became interested in Judith Waller, whose “accidental” radio success began in Chicago in 1922 as programming manager at WMAQ and continued as the Educational/Public Service Director for NBC’s Central division. At WMAQ in the 1920s, Waller helped craft a number of educational programs, including a joint venture between the Chicago Public Schools that successfully connected city-wide special exhibits and the Chicago Daily News into an audio/visual/experiential learning experience. However, by the 1930s Waller had grown disillusioned with “educational radio.” In 1934 Waller gave an address titled “Achievements of Educational Radio,” where she spoke of her “pessimism” at what she felt was the lack of accomplishments and advancements in education by radio. She felt that most listeners were “frankly bored” by educational radio and that it only appealed to those who wanted to “appear to be very highbrow before their friends and associates.” One of her chief complaints was that many educational programs were “usually a dull and stupid reading of a prepared geography, history, or arithmetic lesson.” Besides further experimentation, she suggested a name change, from “educational” radio to “public service” broadcasting. This superficial remedy seemed like an ideal first step in reclaiming the types of programs that had elements worthy of larger audiences, but that had largely been ignored. This name change did little to suggest, however, any actual changes that might benefit the construction of educational programming. I use this example for the sheer fact that I would very much like to listen to these “dull” programs in order to examine what Waller perceived to be their fatal flaws. Now, some of the programs that Waller created and produced do still exist. The University of Chicago Round Table, for example, was a popular public service program Waller worked on for many years—which has an extensive archive of transcripts, although not recordings. In terms of other educational programming, some of the more prominent commercial network programs like the American School of the Air appear to have some availability. The programs I am interested in hearing, however, used the radio, a program guide, the newspaper, and local city events to weave an intricate educational lesson. Were programs like this, so seemingly well crafted and specifically engineered, really as “boring” as Waller lamented? Would it be clear to me, as a listener nearly a century removed, that there are clear issues or faults with their presentation of educational lessons? Or would Waller’s problems with these programs stem from more complex issues, involving her own personal ideals of what education by radio constituted and how it should be conceived? Regardless of the answerability of these questions, they are still worth thinking about in order to understand as much as possible about these missing programs in the context of their “no-sound” status. Not having these sounds to refer to forces us to pose different questions, while tougher to address, that force us to look beyond the audio text to understand what exactly about these programs produced their contemporary reactions. Reading what Waller wrote may supplant the need to hear these programs, but it does not necessarily replace our innate curiosity about them. The discourse around these “no-sound” programs gives historians a particular reception, in this case, a critical perspective from one radio producer. However, Waller’s public disavowal of educational radio cannot speak to the private consumption of these programs, which may or may not have produced the same negative reaction. Really, then, the Waller example suggests two avenues of inquiry, both equally difficult—a full understanding of what these programs sounded like and contained, and how other listeners felt about them. At the very least, a record of these programs and a selected set of reactions lives on in the print media that avidly reported on and debated so many facets of radio programming. 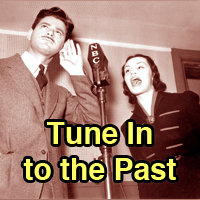 Sate a little of your curiosity and hear Waller speak in this October 2000 re–broadcast of a 1948 interview she gave on the early days of WMAQ, from broadcaster/historian Chuck Shaden’s “Those Were the Days” radio program. Amanda Keeler (Ph.D., Indiana University, 2011) is a Visiting Assistant Professor at Bucknell University. She teaches courses in film and media studies. Her current research focuses on historical emergent film, radio, and television; media history; media industries; and contemporary television. Further to John Wyver above, I’ve been searching the BBC radio archives for pre-war actuality recordings from London. There’s nothing before 1931, and the printed chronological index only lists ‘recordings of note’ – usually the voices of the professional intelligentsia. Omission becomes informative, not quite in the sense that statisticians can read significance into missing data, but more reflecting the archival priorities of the time. Interesting post, Amanda – thanks. You probably know this reference, but the first half of Jason Jacobs’ The Intimate Screen: Early British Television Drama (OUP, 2000) is addressed precisely to this set of questions in relation to the ‘no recording’ loss of all British television drama before 1953. Jacobs mines the written archives of the BBC, as well as other sources, to ‘reconstruct’ live pre-war plays and those broadcast in the immediate post-war years. I was very pleased to find you hitting on the exact topic of a presentation I did at the IAMHIST conference in Copenhagen in July, though with different details of course. Working on a Ph.D. thesis on an early radio drama serial (1929-49) of which only 2 episodes (out of more than 900) have survived as sound, I am faced with this dilemma on a daily basis. If you feel like it, I would love to exchange experiences some time. Either way, thank you for airing the issue!